A journey of East Meets West is the new Etro Fall/Winter 2017 collection. It is an extravagant compilation of bright and bold colors in a variety of prints—which is nothing less than expected. Bold in their own right, all pieces can be a centerpiece or layered into a “color explosion” as styled on the runway. 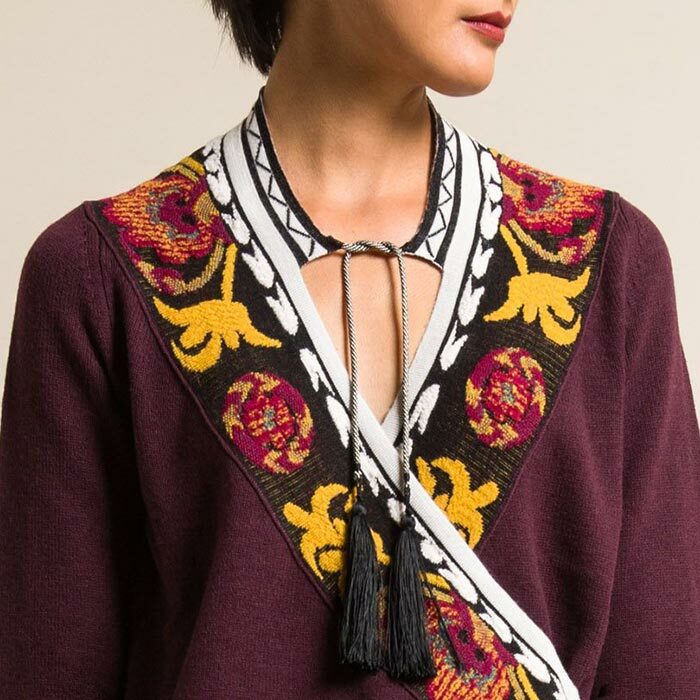 Opulent materials and a blend of inspiration are worked into the eclectic and artful sophistication of Etro. 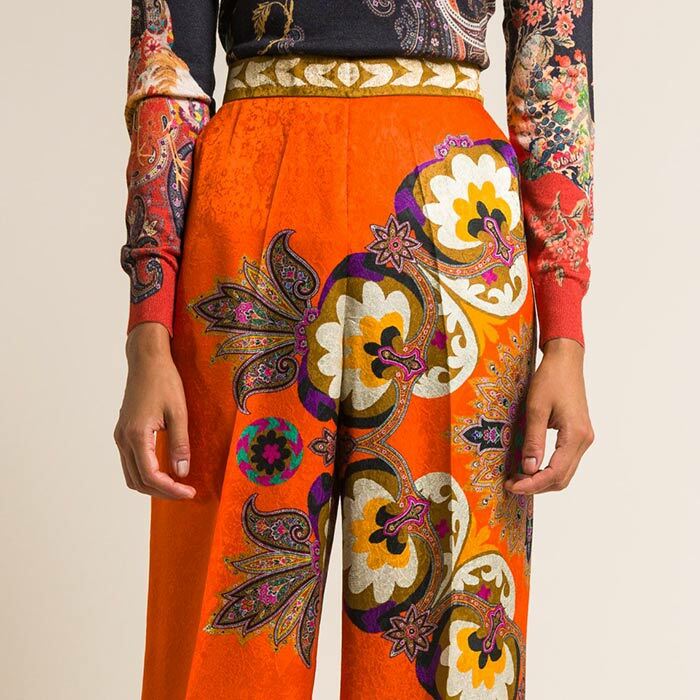 Our first shipments of Etro included the iconic paisley, chinoiserie, and animal motifs in orange, yellow, plum, and rust on black or white. 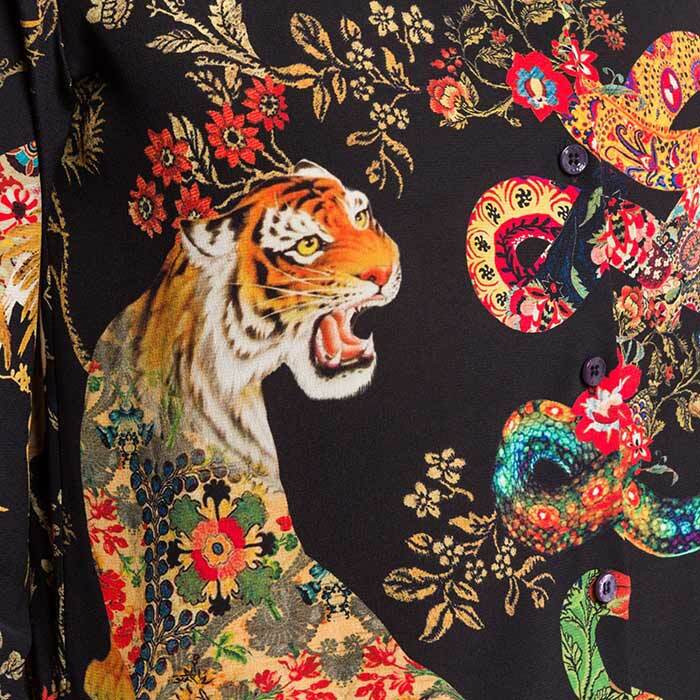 A silk tiger is fierce and elegant as it is decorated with flowers along its back, while the surrounding florals on black become its mysterious yet regal forest. This motif can certainly be representative of the collection and its wearer—powerful and majestic. The latest fall shipment has a selection of scarves that flaunts Etro’s endless devotion to the use and expansion of paisley. 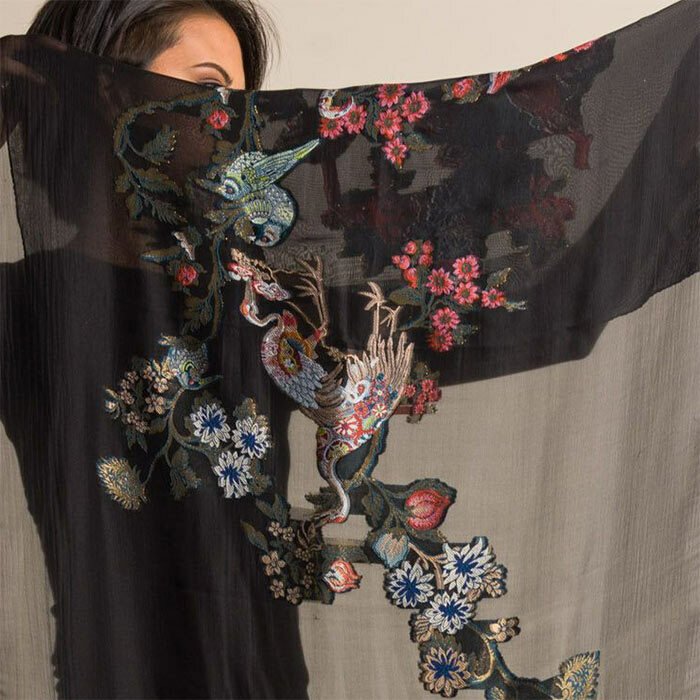 Intricate paisley with bold florals are blurred into shades of grey with abstracted shapes of red, orange, and pink; velvet paisley decorates sheer material; and a woven paisley pattern of gold and black creates an iridescence visible on both sides. To build in their display of extensive patterning, Etro included the use of black and white stripes and chevrons, vivid and pastel chinoiserie florals, and stylized gingham.